MMA legend and former UFC light heavyweight champion, ‘The Phenom’ Vitor Belfort who retired from MMA last year after suffering a knockout loss to Lyoto Machida at UFC 224 signed a multi-fight deal with Singapore based ONE Championship according to ESPN’s Ariel Helwani. The CEO of ONE Chatri Sityodtong also confirmed the report shortly after. From the past few months, ONE Champion has acquired some notable names to their roster including former UFC champions Eddie Alvarez, Demetrious Johnson and Miesha Tate (vice president). Not only that, but ONE also welcomes rising lightweight contender Sage Northcutt and ‘Sexyama’ Yoshihiro Akiyama to the promotion. 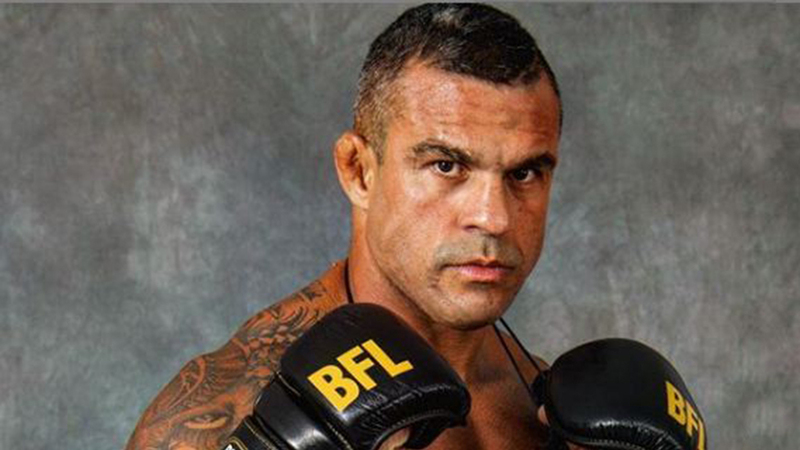 Vitor has been contemplating from sometime that he may fight again and this becomes more cleared when ONE CEO Chatri posted a photo of his with Belfort on his social media. A former UFC and Cage Rage light heavyweight champion Vitor Belfort’s professional record is 26-14 with one no-contest.